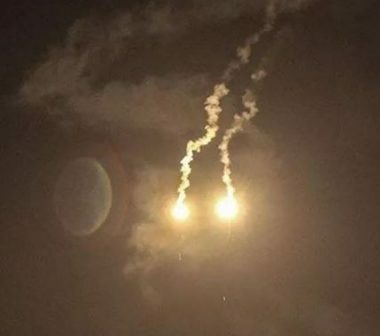 The Israeli army fired, on Wednesday, several missiles into various areas of the Gaza Strip, including a building in the Sudaniyya area of northern Gaza, which was first struck by three missiles, followed by an additional six missiles, just minutes later. Furthermore, an Israeli army drone fired a missile into a farmland near Salaheddin Gate, along the border with Egypt, south of Rafah, in southern Gaza. addition to a number of missiles fired into farmlands east of Abasan town, east of Khan Younis, in southern Gaza. The Israeli air force also fired a missile into an area where many Palestinians were picnicking, on the shore of Jabalia, in northern Gaza, causing damage but not injuries. Furthermore, the Israeli air force fired missiles into areas near the Gaza Sea Port, west of Gaza city, causing serious damage. The soldiers also fired two missiles into a resistance-run center, in the location of the former Netzarim colony, in central Gaza. Al-Qasam issued a video of the two fighters during firing at fixed posts, and not at the army or any Israeli side, before they were targeted and killed by the Israeli soldiers. 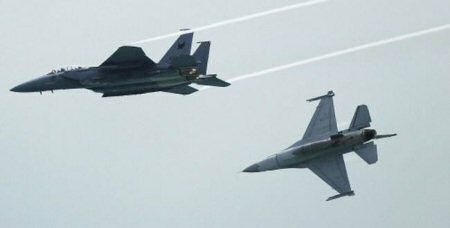 Israeli military aircraft, Wednesday, carried out a series of air strikes on the Gaza Strip, injuring at least two Palestinians, said WAFA sources. 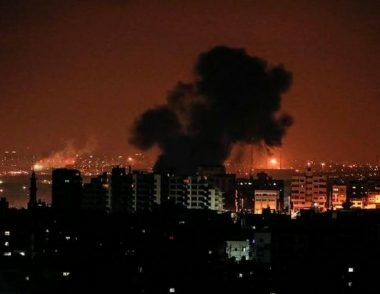 Israeli F16 warplanes and drones carried out a series of air strikes targeting the northern part of the Gaza Strip, the western part of Gaza city, and Rafah city to the south, causing destruction to Palestinian properties. 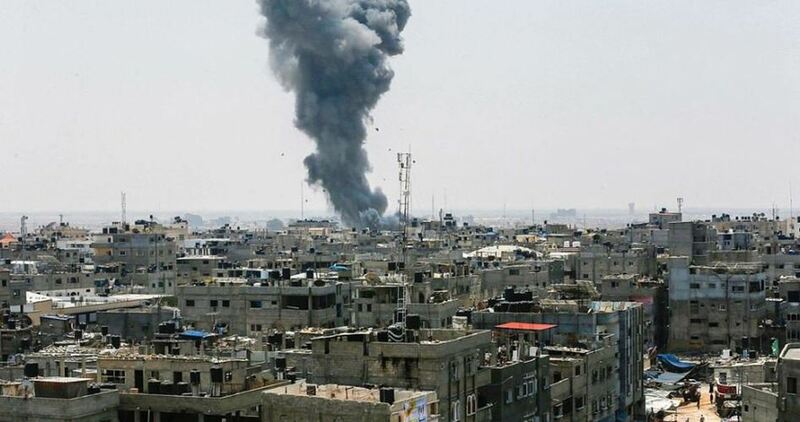 Two Palestinians were reportedly injured in a strike that targeted a group of Palestinians in the western part of Gaza city. Both were transferred to al-Shifa hospital, in Gaza city, for medical treatment. Their health condition and identities remain unknown until the moment. Israeli occupation forces (IOF) on Wednesday evening opened fire at different sites in eastern Gaza following an alleged attack on an Israeli military vehicle near the border. 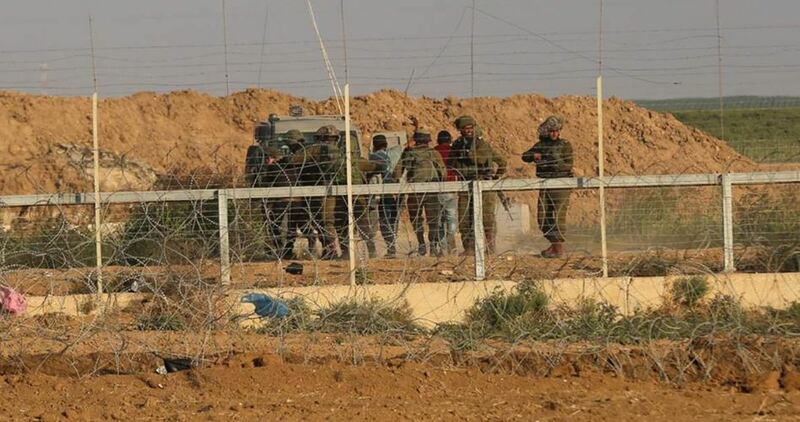 The PIC reported said that the IOF fired at least one smoke projectile and a number of teargas canisters to block the view near the border fence east of Gaza. 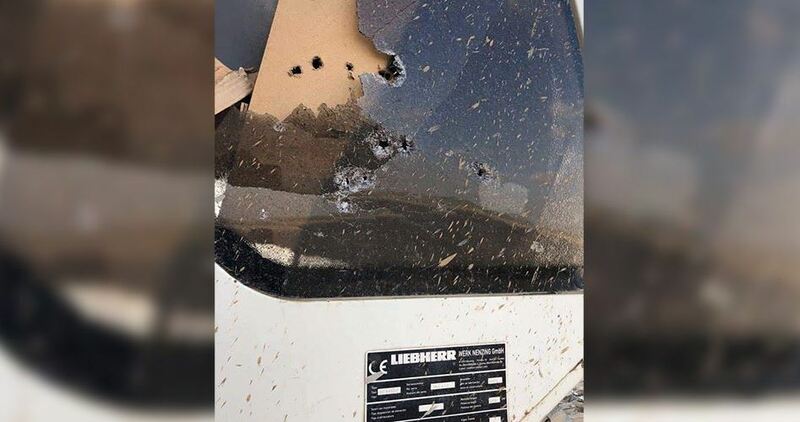 The Hebrew website "0404" reported that Palestinians from the Gaza Strip opened fire at an Israeli military vehicle near the border fence, adding that the vehicle was partially damaged but no injuries were reported among the Israeli soldiers. A spokesman for the Israeli occupation army later said that an Israeli soldier was injured in the attack. In a related development, an Israeli tank bombed a Palestinian resistance site east of Gaza with no casualties reported. Al-Qassam Brigades, Hamas's armed wing, has put its forces on high alert in the Gaza Strip following an Israeli airstrike that killed two Qassam fighters on Tuesday. The Israeli military on Wednesday morning opened fire at Palestinian farmers east of the blockaded Gaza Strip. Israeli army patrols stationed at the Gaza border unleashed barrages of machine gunfire toward Palestinian farmers east of al-Zaytoun neighborhood, to the east of Gaza city. The Israeli army regularly detains and opens fire on unarmed Palestinian fishermen, shepherds, and farmers along the border areas. The practice, often carried out under the security pretext, has destroyed much of the agricultural harvest and property of the blockaded coastal enclave. 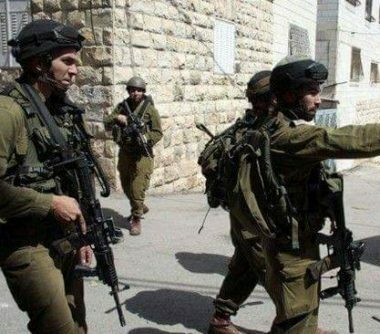 The Israeli Occupation Forces (IOF) stormed on Tuesday evening Malta town, south of the northern West Bank city of Jenin, and carried out military drills in the area. According to eyewitnesses, Israeli forces were deployed in large numbers throughout the town and carried out large-scale military exercises. On the other hand, Israeli army erected a military checkpoint at the entrance to Yamoun town where a number of vehicles were stopped and searched. 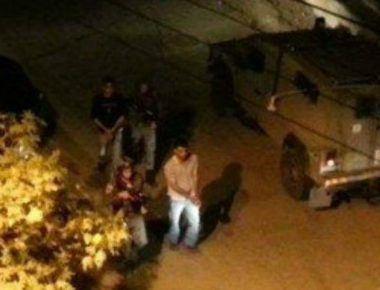 Several armored Israeli military jeeps invaded, on Monday evening, Ya’bad town, southwest of the northern West Bank city of Jenin, and fired gas bombs in addition to rubber-coated steel bullets at local youngsters, protesting the invasion. 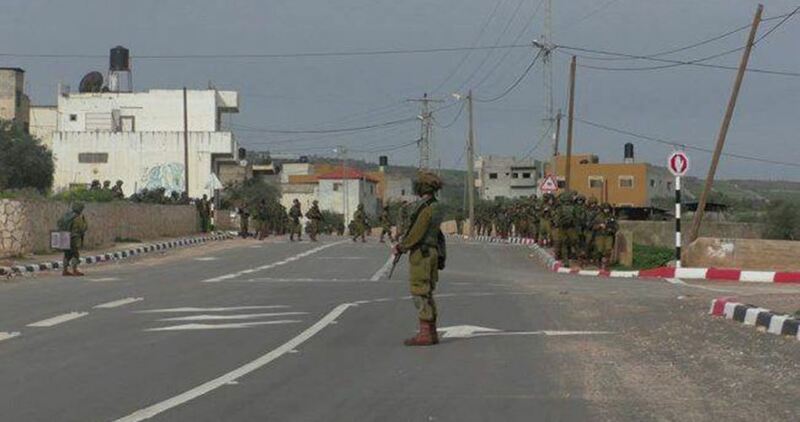 Media sources in Jenin said the soldiers drove provocatively in the town, leading to confrontations with local youngsters, who hurled stones at the armored jeeps, while the soldiers fired many gas bombs and rubber-coated steel bullets, not only at them, but also at a number of homes. They added that the soldiers invaded and violently searched many homes in the town, detained and interrogated a child, identified as Mahmoud Abu Bakr, before releasing him. In related news, the soldiers invaded Beita village, south of the northern West Bank city of Nablus, and advanced into many neighborhoods. The soldiers also invaded an area near the Stadium in the al-Khader town, south of Bethlehem, and fired many flares. 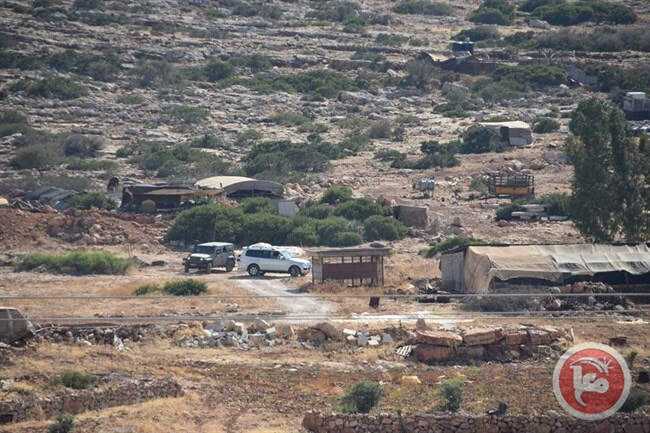 The Israeli authorities forces four Palestinian families in the Khirbet Yirza area of the Jordan Valley, in the northern occupied West Bank, to evacuate their homes on Monday for alleged military training in the area. At least two Palestinian citizens were injured Monday afternoon by an Israeli airstrike east of Gaza city. The PIC reporter said that an Israeli drone fired two missiles at a group of Palestinian youths east of Gaza. Israeli settlers, along with Israeli forces, assaulted Palestinian residents of the al-Muarrajat Bedouin village, northeast of the occupied West Bank district of Ramallah on Monday. 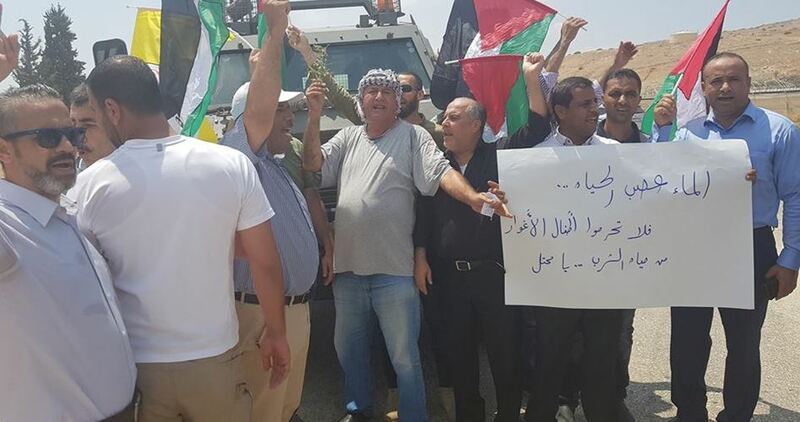 Locals said that armed Israeli settlers stormed the Bedouin village under heavy protection by Israeli forces. Sources added that Israeli forces assaulted residents, some Israeli solidarity activists and the staff members of the Wall and Settlement Resistance Committee, who were present in the area. Following the assault, Israeli forces detained six Palestinian residents. Sources mentioned that Israeli forces prevented the rest of the Wall and Settlement Resistance Committee staff and other Israeli activists from reaching the Bedouin village of al-Muarrajat. Many Palestinians have pointed out that Israeli settler attacks against the Palestinian community are very common and often go unpunished by the Israeli authorities. 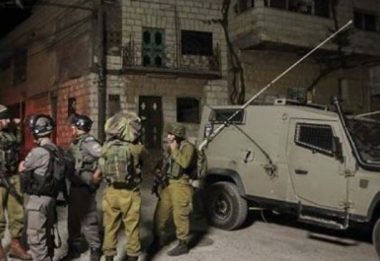 Dozens of Israeli soldiers invaded and violently searched, on Monday at dawn, many homes, and a Youth Institute, in the al-Jalazoun refugee camp, north of the central West Bank city of Ramallah. The WAFA Palestinian News Agency has reported that the soldiers carried out one of the largest, and most violent, invasions into the refugee camp in recent months, and added that the soldiers stormed and ransacked many homes, in addition to using rooftops as monitoring towers. It said the soldiers interrogated many Palestinians while inspecting their ID cards, during the violent searches of their homes. Some of the Palestinians have been identified as Adnan Hattab, Zoheir Samadna, Fahmi Abu Sbeih, Abdul-Naser Nakhla, Mahmoud Sheikh and Mohammad Oleyyan. 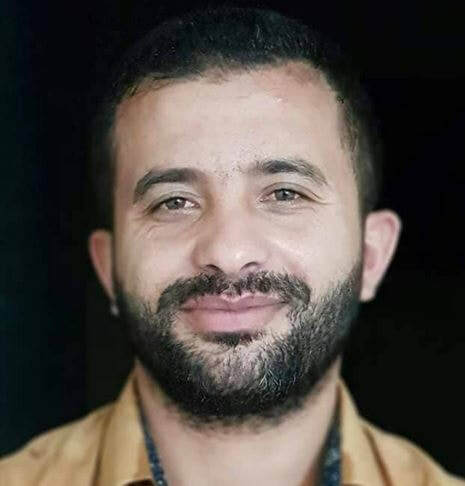 Furthermore, the soldiers surrounded and invaded “Khaled Bakir Institute for Young Leadership,” causing serious damage, and briefly detained one of its members, identified as Mohammad Dohan.